The landlocked North Indian state of Haryana is the one Ssshhh cooking secretly group chose for our secret experimentation this month. With a strong agrarian foothold and an equally earthy cuisine, a recipe from this region had to reflect the simplicity of the cuisine and savour the beauty of the produce. 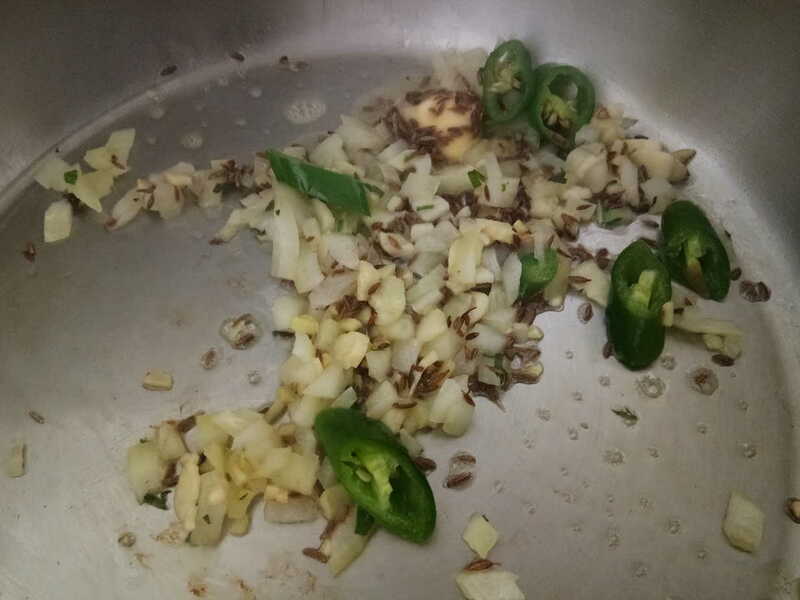 From my partner, Nisa, I received green chillies and butter as my secret ingredient. Let’s see what I do have in my stock..oh yes two bags of carrot. 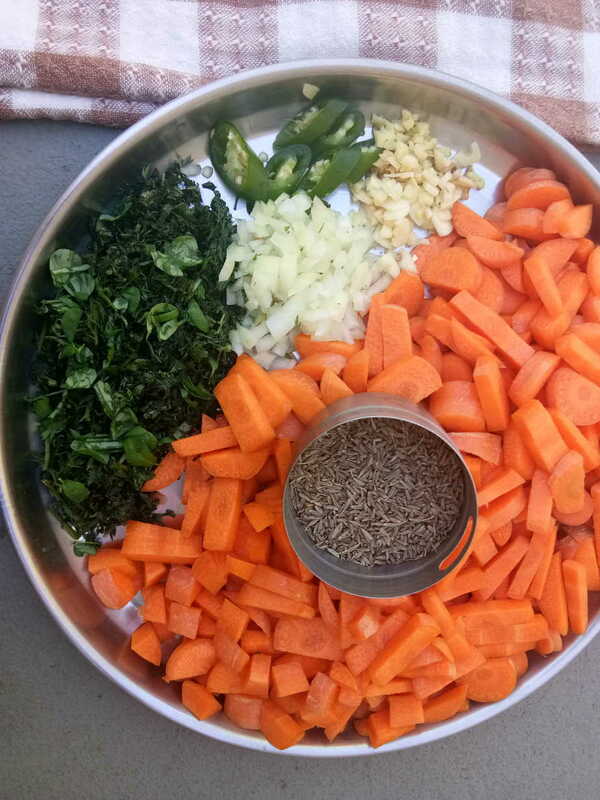 Hmmm… so now is the puzzle to solve- carrot, butter, green chillies and Haryana. 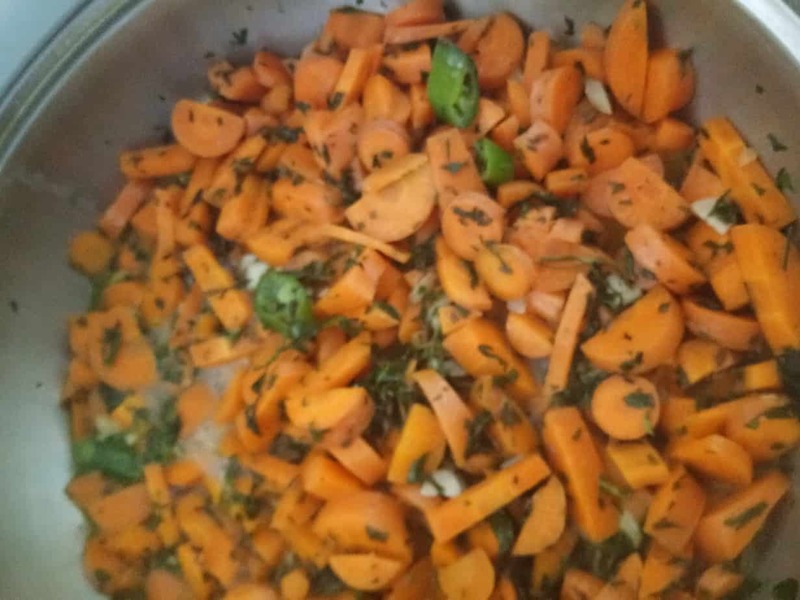 The solve was a cheat on “Goolayah Namah“(of course I cannot ditch my new found fast solution).I found methi gajar sabji (a stirfry with fenugreek leaves and carrots) was pretty popular, but not many of the recipes had the authenticity. So with the now I turn to my fellow bloggers who generously poured out all their suggestions for methi gajar sabji. Here are the ones, which inspired me to make a medley of the three. The recipe, methi gajar sabji, with absolutely no fuss, warm.and perfect with bajra roti topped with a dollop of nooni ( homemade butter) was so welcome as it is turning a bit cold here. Washed it down with a glass of Spiced buttermilk and the meal was well rounded and filling(yes we did have a few burps at the table). 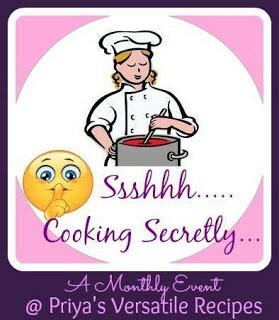 Check out her thirsy thrusday series which is on my top list of things to try. I am floored by the extensive recipe collection she has from 2015 and some of them truly unique. Nevertheless, I am soon going to hibernate if the temperature dips more, so I guess my body can deal with some buttering up. Scroll down for this beautiful earthy gajar methi recipe and enjoy it with a homemade roti or naan. For more recipes from the gluten-free gallery, do check out this link. 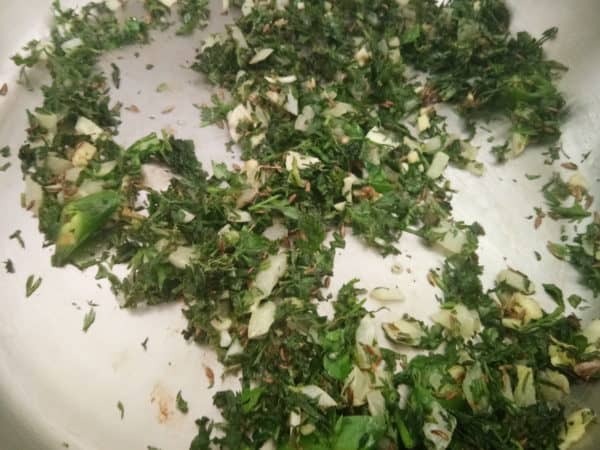 Remove the leaves alone from the bundle of fenugreek leaves, wash and chop them fine. Set a pan on medium heat and add a tsp of oil. Dot it with a tbsp more of butter on top. 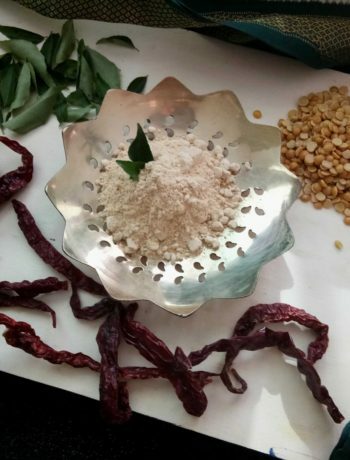 If you are using mud free fenugreek, chop up the stem, the leaves and even the roots. saves a whole bit of time. Is my baking powder working? 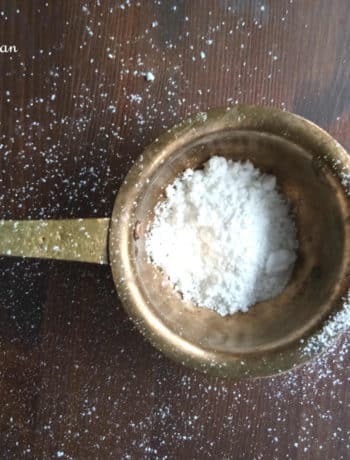 Make your own gluten free baking powder. 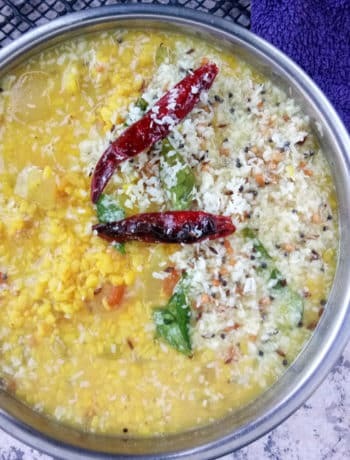 Varuth aracha kootu curry with watermelon rind. This looks interesting. I make this, but never added butter to it. I am sure it must have added to the taste. Those methi looks so fresh and green, nothing like picking up some vegetables from your home garden. We love methi stir-fry with potato to the core..now I have a new variation to try out with our favourite leafy green …lovely share Seema ! Addition of amchur is interesting. Should add it next time. Thanks for the mention. Firstly kudos for harvesting the fresh methi microgreens for using it in this recipe, it certainly looks fresh. 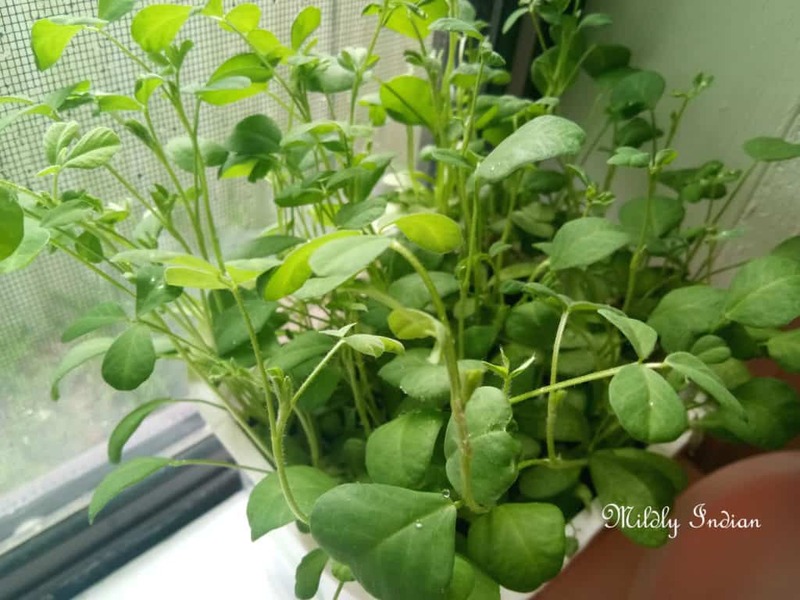 I have tried microgreens too couple of times and gives perfectly good batch. Loved the recipe and the use of ingredients to make a healthy main course veg option. The sabzi looks and sounds so delish! I can imagine the medley of flavours this curry must be. I make methi and aloo sabji but this one with carrot looks so good. I usually don’t prepare sabji with carrot alone, but this is one sabji I would love to try. Love your methi in the pot. I recently planted some the the birds plucked the leaves! Methi gajar ki sabji sounds yummy. Made methi with potatoes but never made with gajar. Thanks for the recipe. Lovely share. Increasing combo and super healthy stir fry ! I am sure the mildly bitter methi and slightly sweet carrot made for a great taste combination. Also, the green and orange mix is such a treat for the eyes! 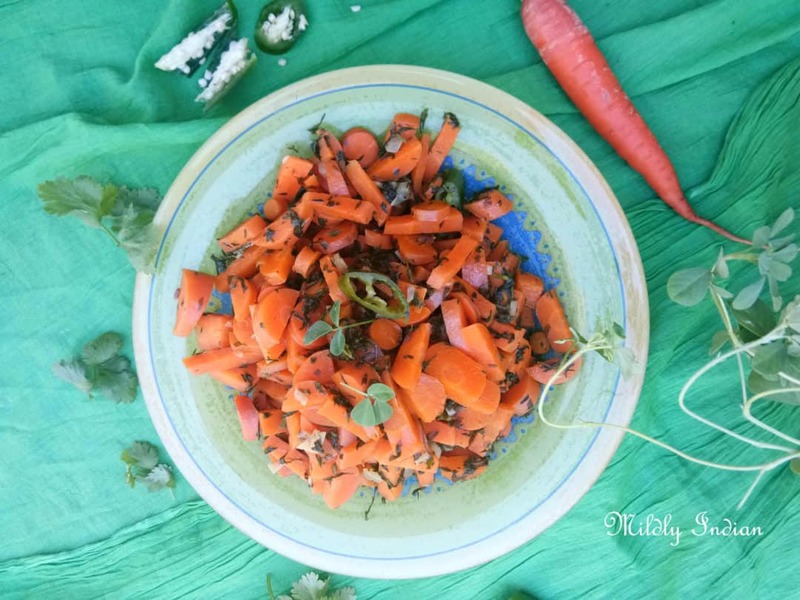 This carrot methi stir fry is no fuss recipe, the ingredients are easily available. Do need to try sometime. 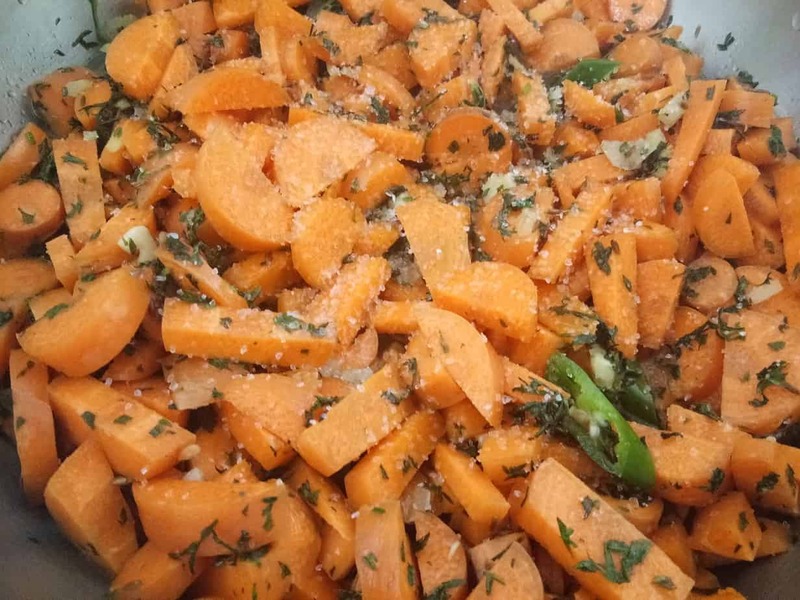 Delicious Carrot and methi fry.. Healthy and using butter is very unique idea.. 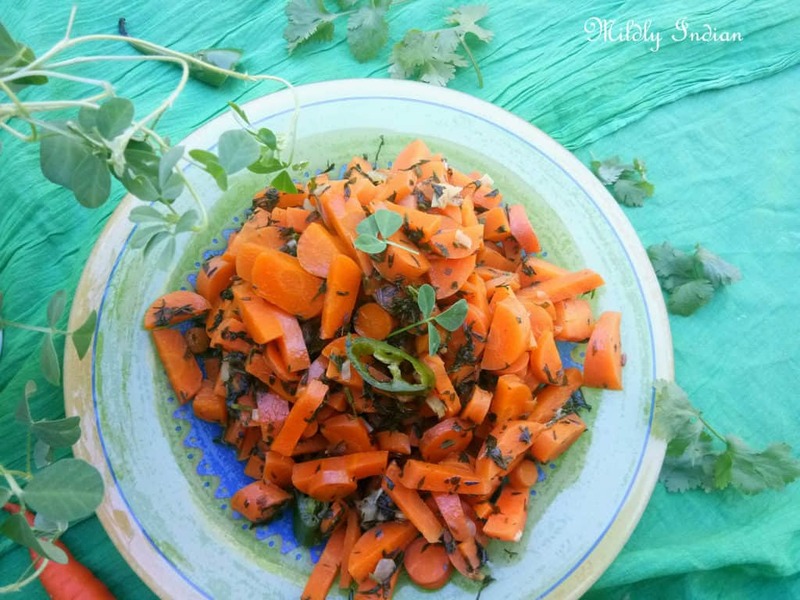 Interesting and nutritious combination of carrots with methi leaves, and the instructions make it sound quite easy to whip up on a chill or rainy evening. You got me sold at ‘butter’ though – love the thought of adding a dollop of butter for that special flavour! Thats a super healthy and definitely a flavourful sabji, love to have with some rotis. Surely this gajar methi is yummy. Will definitely try making it you are right about the simple yet delicious food in hariyana. Wonderful salad with very unique and healthy combination.. lovely share..